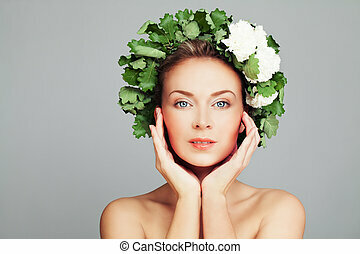 Beauty portrait of perfect woman. 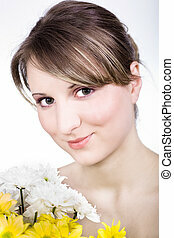 cute face and flowers isolated on white. 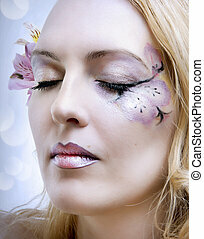 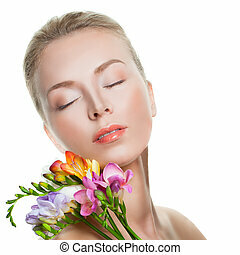 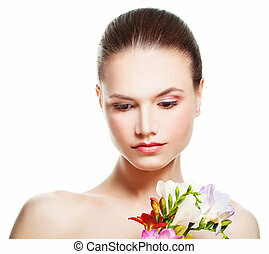 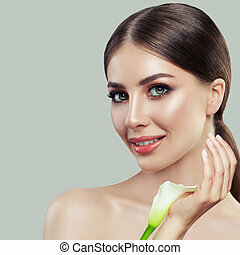 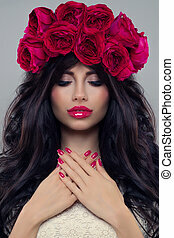 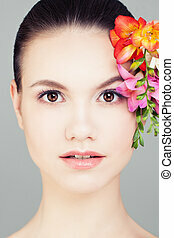 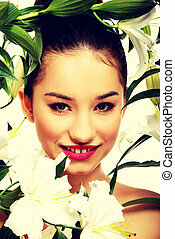 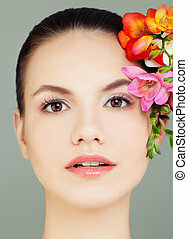 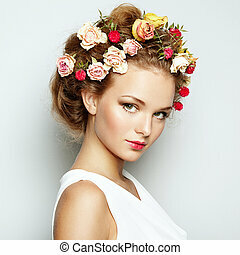 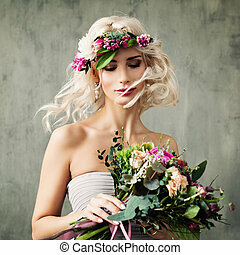 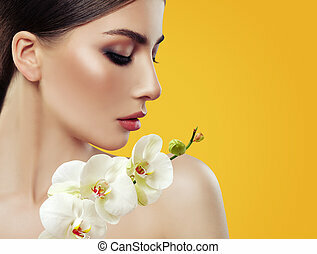 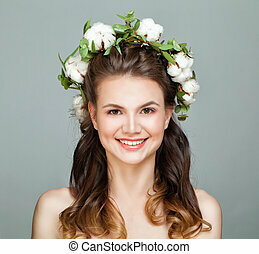 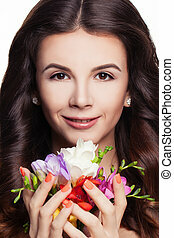 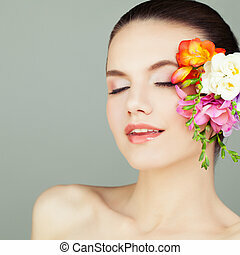 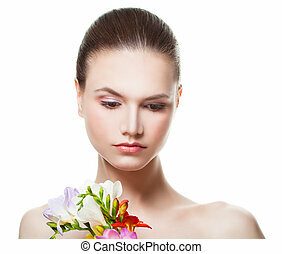 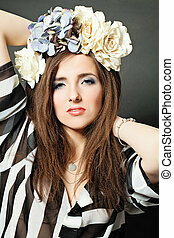 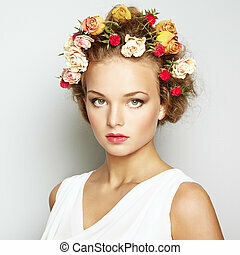 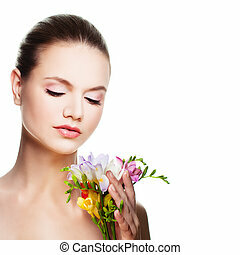 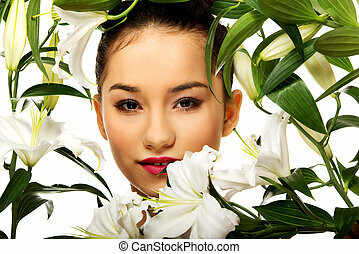 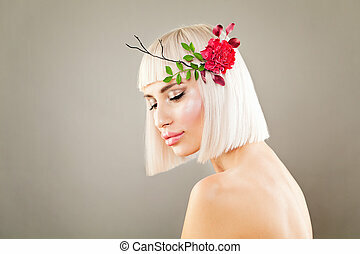 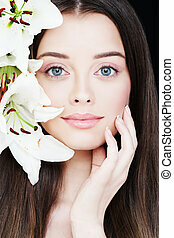 Beauty face of young woman with lily flowers. 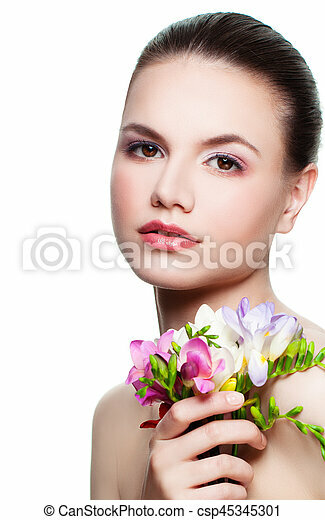 Portrait of Beautiful Young Woman with Flowers. 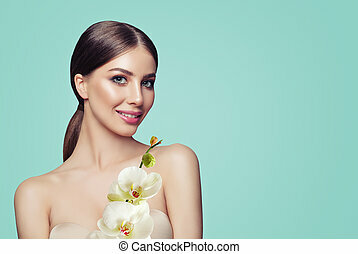 Perfect Makeup and Skin.